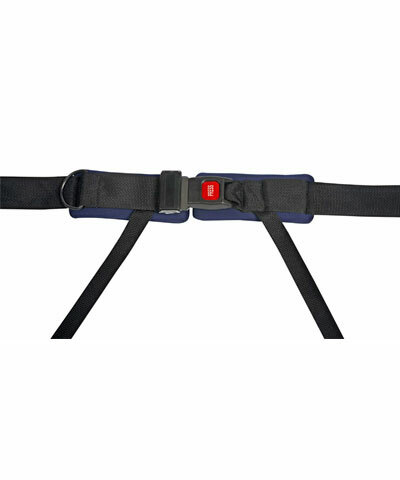 Our Padded 4 Point Positioning Belts are used in a similar fashion to a 2 point belt; they are to be anchored with 2 of the points at a 45 degree ancle to the client. The other 2 points of attachment are to be anchored down lower on the frame to prevent the belt from riding up and down as the client with a lot of movement goes through his/her day. The split pads are to reduce the pressure on the clients ASIS´s. At the ends of the belts are easy to install belt anchors. This belt is made with 1" webbing.